Our Angkor Wat two-day tour will give you a deep insight into the cultural sites and history of the Angkor Archaeological Park. 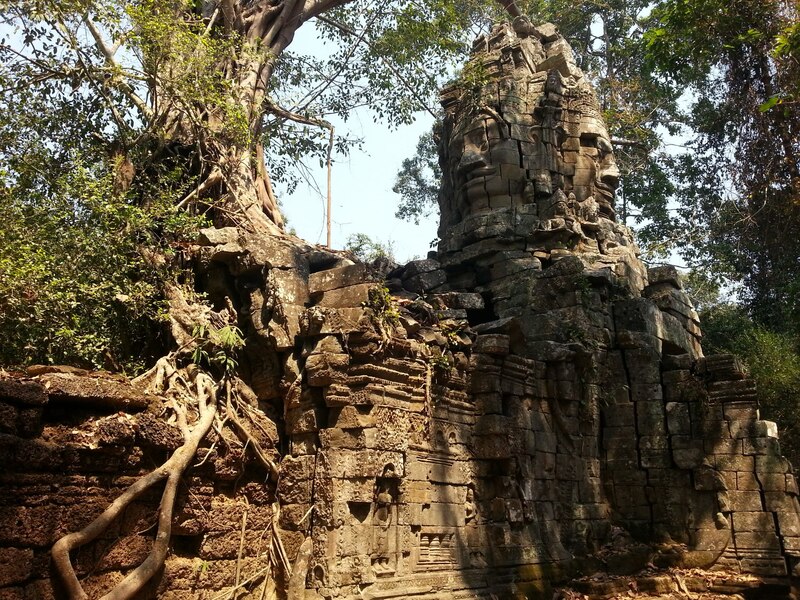 In addition to the temples you will visit in a one-day tour (Angkor Thom, Ta Prohm Jungle Temple and the famous Angkor Wat) we will take you to the more distant temples and cultural sites of Angkor Park. 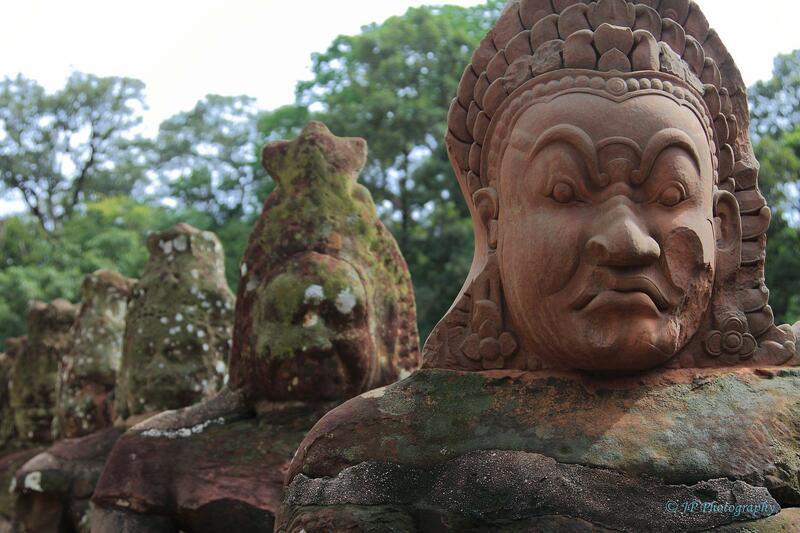 These include Banteay Srey, Kbal Spean and Banteay Samre. We offer an individually tailored tour. 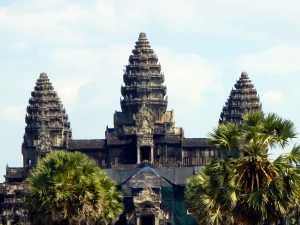 The description will guide you through our recommended Angkor Two-Day Tour, the “Best of Angkor Wat Two-Day Tour”. If you have special wishes e.g. late pick-up, lunch at a local restaurant or you would like to plan the least crowded route for Angkor with us, please let us know. Bring Comfortable clothing, sturdy shoes, hat and sunscreen. The entrance fee is not included in the price, as it is paid at of the Angkor and Siem Reap protection and administration office on the road to Angkor. 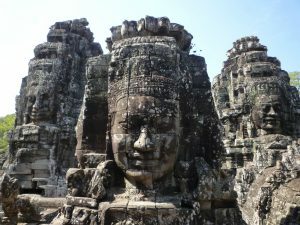 The price for the Angkor three-day pass: 62 USD. Unfortunately, there is no two-day pass. We do not take any commissions from the restaurants as we want you to have the free choice. Pick-up at your hotel: Early departure from your hotel to admire the unforgettable sunrise over Angkor Wat, the most famous temple complex of the Angkor Archaeological Park. The entire archaeological site spans over 400 square kilometers/ 4305 square feet and was declared a UNSECO World Heritage Site in 1992. 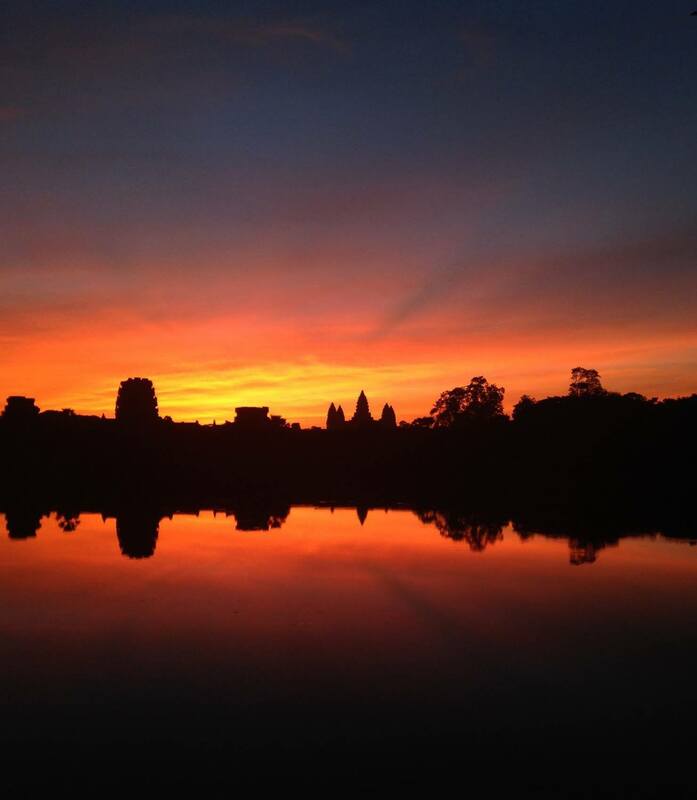 After seeing the mirrored colors of the sunrise in the lakes in front of the unique architectural structures of Angkor Wat, you can decide whether to return to your hotel for breakfast or whether our guide will recommend a restaurant to you. 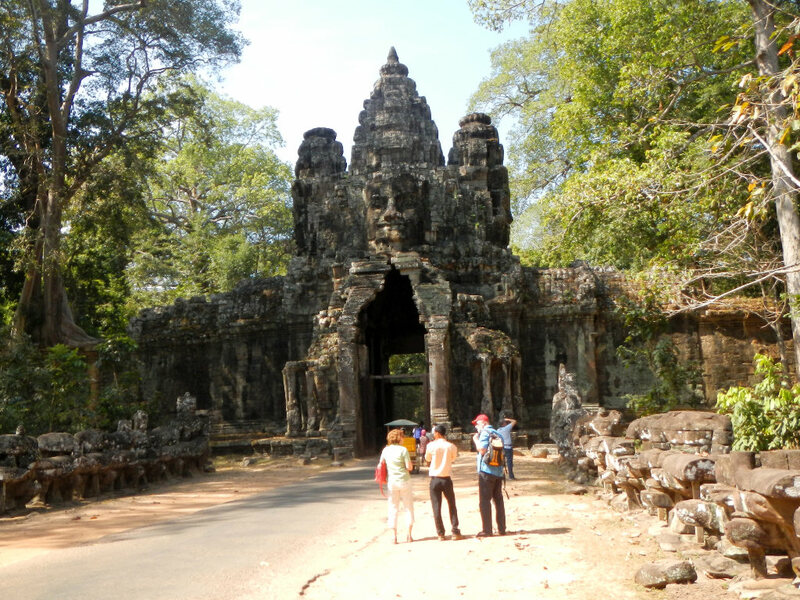 After breakfast our driver brings the group to the south gate of Angkor Thom. It is the most beautiful and best preserved of the five entrances to Angkor Thom, the largest complex of the Angkor Archaeological Park. 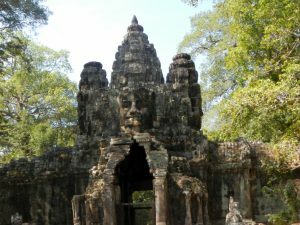 The royal city of Angkor Thom was built at the end of the 12th to the beginning of the 13th century. 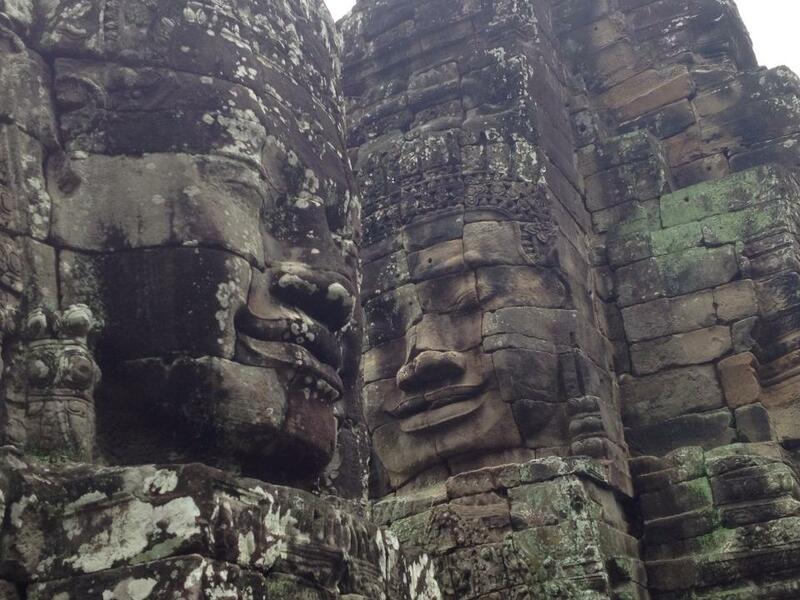 Bayon Temple: Here you will find the main temple Bayon of King Jayavarman VII. It is famous for its 37 towers with sculptural decorations and impressive rock faces. Elephant Terrace: As you might guess from the name, this site is made up of three platforms surrounded by elephants carved in stone and representing an elephant hunt. 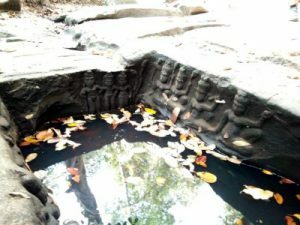 Terrace of the Leprosy King: It is considered one of the most beautiful Khmer artworks. The name comes from King Yasovarman I, who built the first city of Angkor and died of leprosy. The relief is very detailed and extremely well preserved. 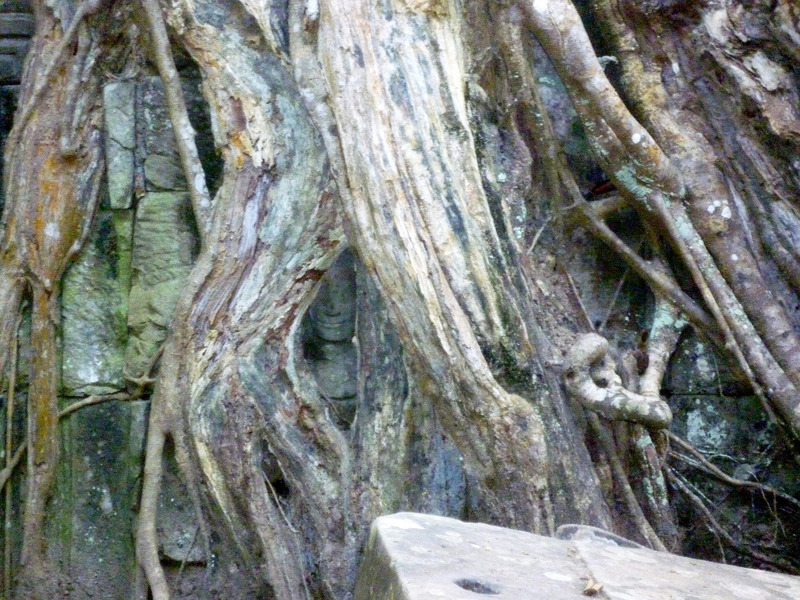 Phimeanakas: The royal temple is one of the smallest temples of Angkor. At the top of the 12-meter-high pyramid you have a great view of the entire archaeological site of Angkor Thom. You can decide where you want lunch and whether you prefer local food or international cuisine. Grilled seafood, a Khmer curry or a steak with chips, it’s your choice. This small temple is located about 4.5 km/ 2.7 mi from Angkor Wat and is not one of the main tourist areas of Angkor, because tour buses do not reach the place. 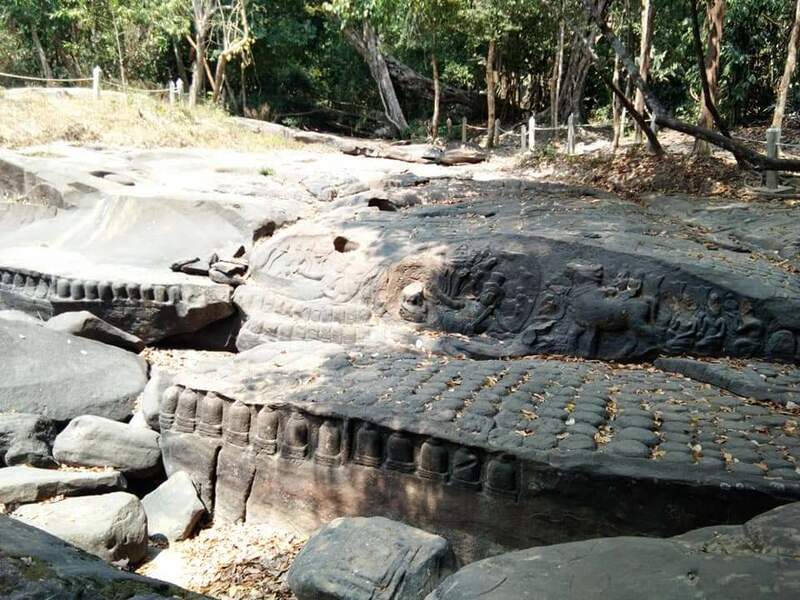 Therefore it is not so crowded and there is enough room to explore the temple of King Jayavarman VII with our guide. 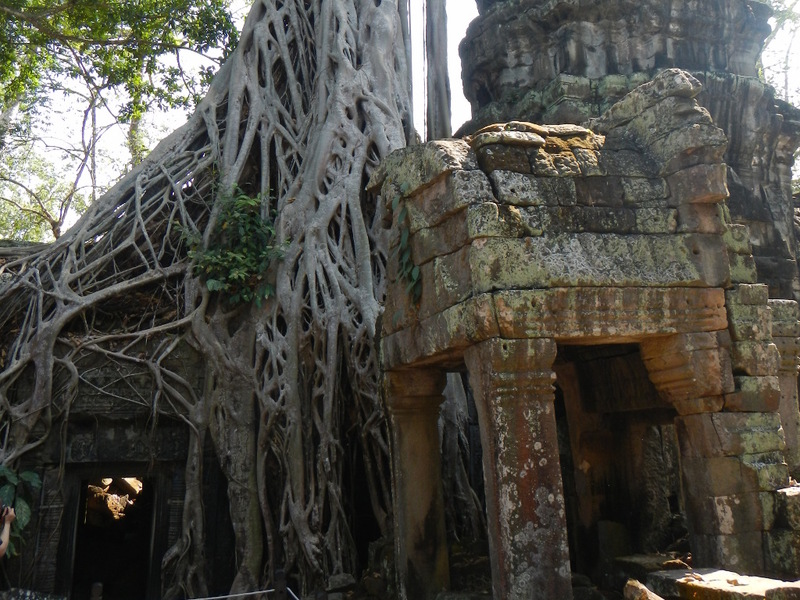 Before you visit the most famous temple complex called Angkor Wat, our driver will take you to Ta Prohm. 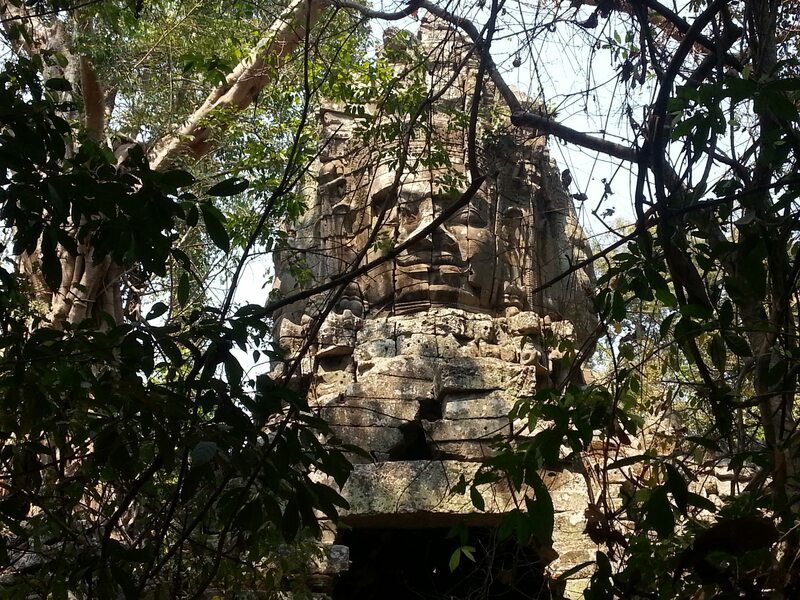 The “Jungle Temple”, which was built by Jayavarman VII in honor of his mother. The temple was almost swallowed by the jungle. The impressive Bayon architecture merges with the tropical forest. The unforgettable scenery was made famous by the movie “Lara Croft: Tomb Raider” starring Angelina Jolie. It is an unforgettable sight as nature incorporates a former civilization. Definitively a highlight of the first day of your trip in Angkor. 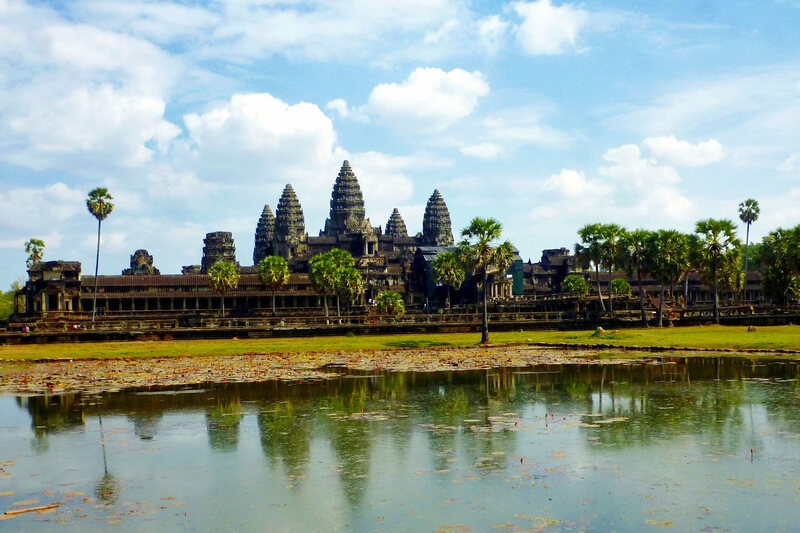 A short drive will take you to Angkor Wat, the most famous temple in historic Angkor Park. Angkor Wat with its pagoda was once the center of the mighty Khmer kingdom. 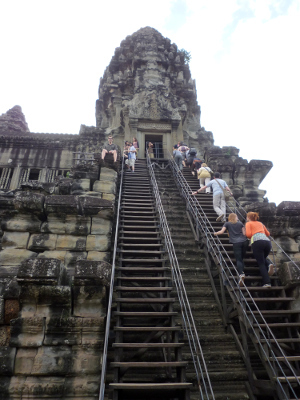 You can climb the steep steps up to the tower and have a magnificent view over the World Heritage Site of Angkor. 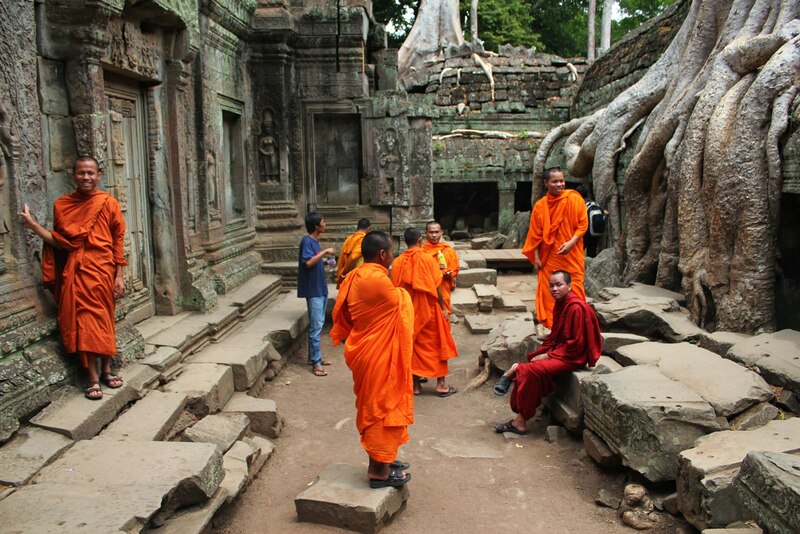 Your guide will tell you exciting stories of the Khmer Empire and its kings of long ago. One thing is certain, you will not get bored. Maybe your feet will get a bit tired, but the UNESCO World Heritage Site is worth the effort. Our driver will take you back to the hotel to end the first day of your two day Angkor tour. 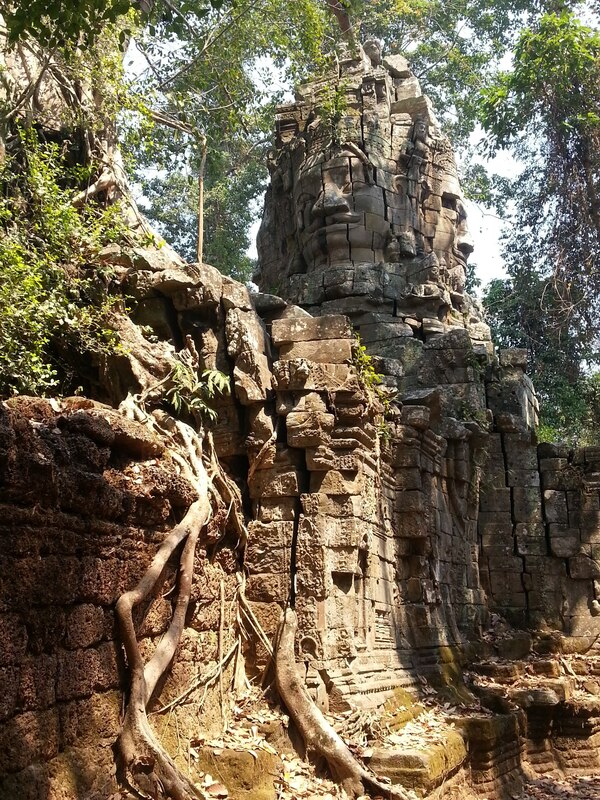 East of the main area of Angkor is Banteay Samre. The temple shows Buddhist and Hindu reliefs. Banteay Samre is not part of the usual tourist route for Angkor and thus little crowded. Especially this remoteness makes it worth seeing, even if the restoration was neglected here a bit. The processional path is decorated with guard figures. Even the drive through fields and villages is a nice experience. The temple of Banteay Srey is located about 20km/12.5mi from the main complex of Angkor. The drive through small villages and rice fields offers you a deeper impression of the Cambodian culture. Banteay Srey is the only temple not built by the king himself but by his minister. It was used until the 14th century and only rediscovered in 1914 and then extensively restored. Banteay Srey is also called the Pink Temple of Angkor, as the color of the sandstone gives it a reddish color. At the same time it is the smallest temple of Angkor as well as one of the most beautiful stone carvings, even among the most beautiful in the world. 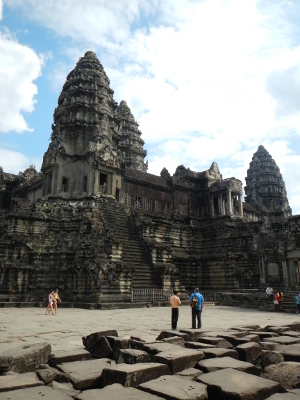 Therefore, anyone who wants to get a little deeper into Khmer history should include this temple in their program. 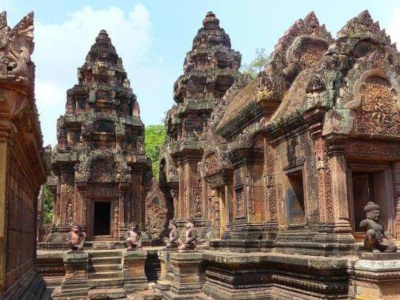 Translated, Banteay Srey is called “Citadel of the Woman” and gives an indication that the work was done by a woman. This is reflected in the fine structures of the stone figures which are often worked in three dimensions. That’s why the nickname of the temple is Art Gallery of Angkor. 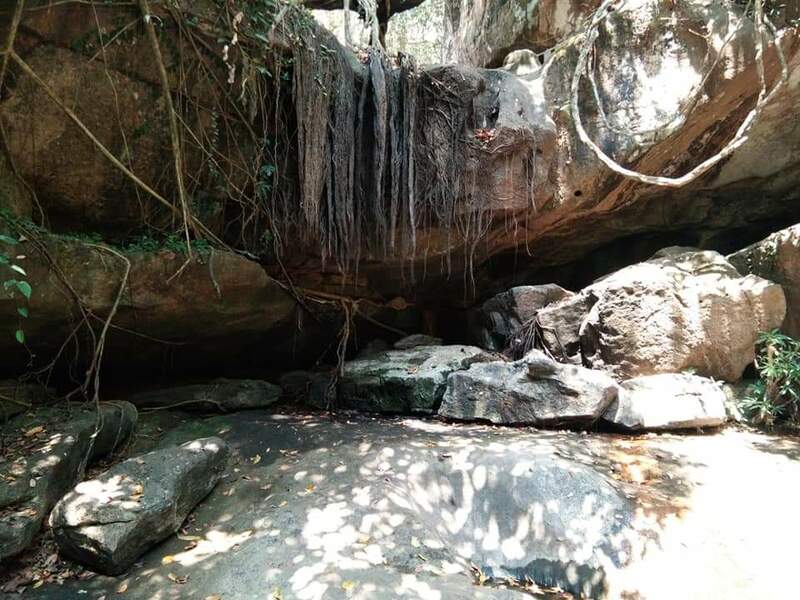 Kbal Spean is located on a river in the jungle about 60km/37mi from the main complex of Angkor. 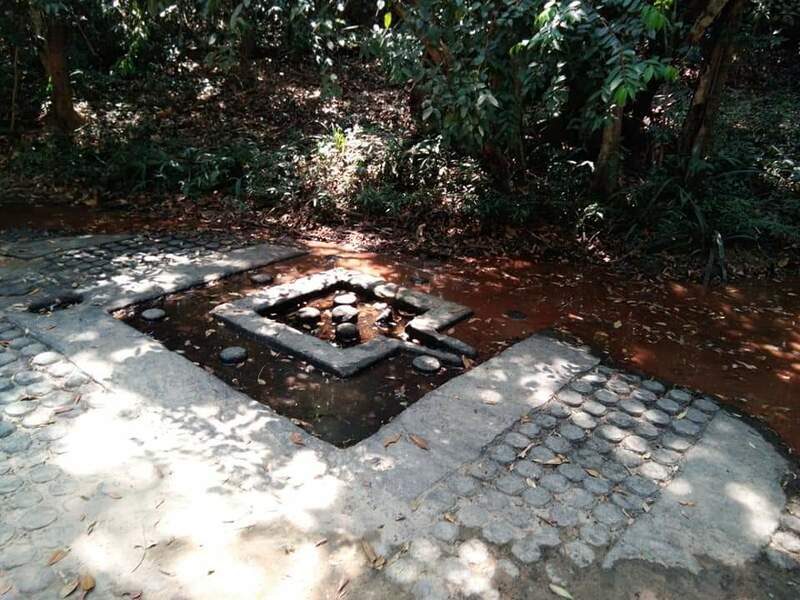 It is often referred to as the “river of a thousand lingas”. Lingas are fertility symbols that appear in various forms in Hindu culture and are intended to show Shiva’s creative and destructive power. In addition to the lingas, there are also numerous stone paintings of deities and animals. To reach the stone painting it takes about 30 minutes of walking through a jungle path along the river. Depending on the season, the river even dries out completely, allowing a closer look at the stone paintings in the riverbed. If you are looking forward to a filled river, the place is best visited between July and December. The path along the river leads on one side to the stone carvings and on the other to a small waterfall. Here you also have the opportunity to have lunch depending on your wishes. To end the day with a beautiful sunset, we drive again into the main area of Angkor. Here you have the choice of seeing the sun settling in the water reservoir of Srah Srang, a historic ritual ablution site near Angkor Thom, or the Pre-Temple Pyramid Temple, the Shiva-sanctified Hindu temple with a 360-degree all-round view.